The plaster work in my home adds 1.5 tons of thermal mass to its interior – an essential, often-overlooked part of any passive solar design. The tree sculpture in the center of this adobe-finished wall was conceived by myself and designed by plaster artist and engineer Gavio. He constructed the tree trunk, shelves, and relief work around the sconces. I gathered, prepared, and arranged the tree branches. We shared the plaster application and finish. The adjoining walls are finished with home-made clay paint. 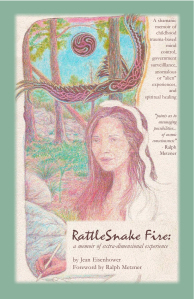 The adobe banco (seat) beside the fireplace hides the adobe firewood bin on the back, next to the front door. The cat paw ties the book case beside it to the doorframe and around a speaker or shelf space topped by a display shelf. This “grandmother tree” was designed by Gavio, with my major contribution being the full moon light behind the branch. 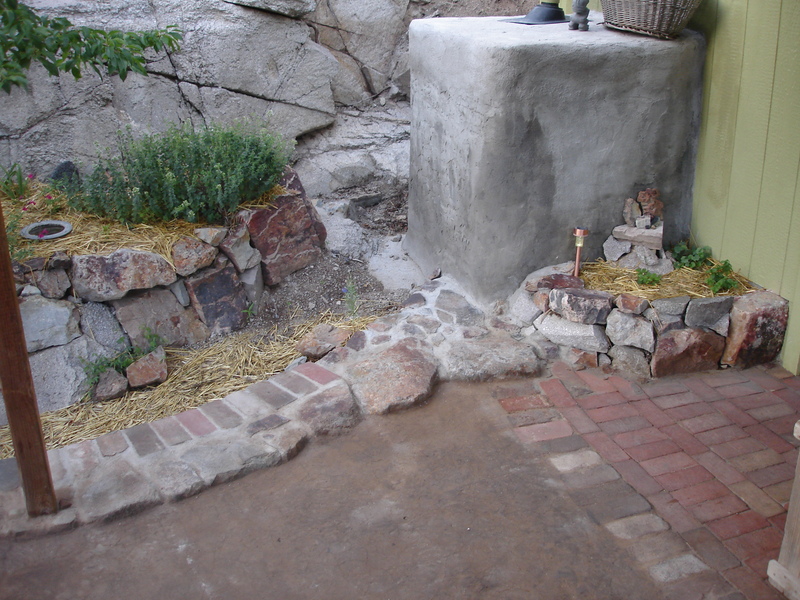 Stone, brick, and adobe patio, doorway (by bricks), swale beneath the garden terrace and granite hill cut, and steps behind concrete-plastered water harvesting tank (concrete will be finished with texture to match the hill cut). Stone and brick work holds deluges of water harvested from roof which comes down at this corner and is directed along the garden terraces. 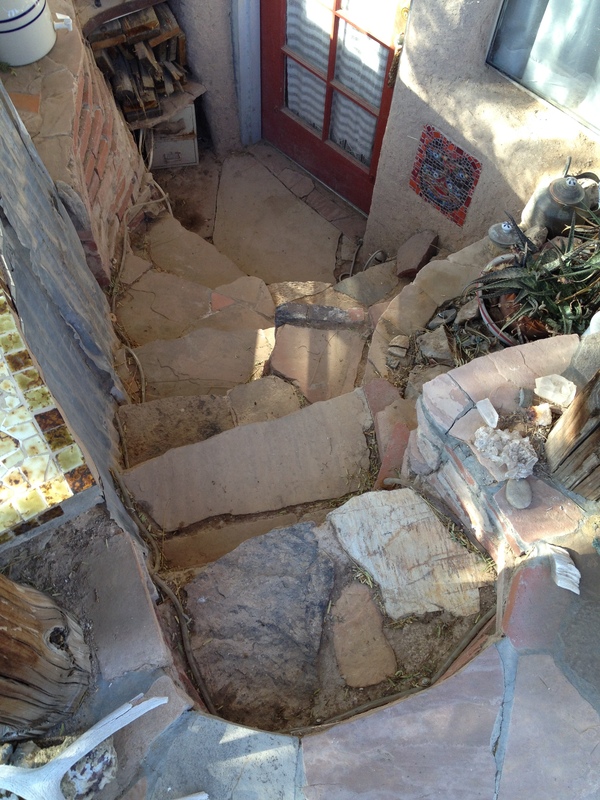 This is a friend’s mostly underground casita (under construction below), for which I created the outdoor, curving staircase using salvaged bricks and stones. Six years later, they’re holding up very well!